How I became a movie critic and why being a movie critic for me is like heaven. And the Pop Culture Christ Inbox! 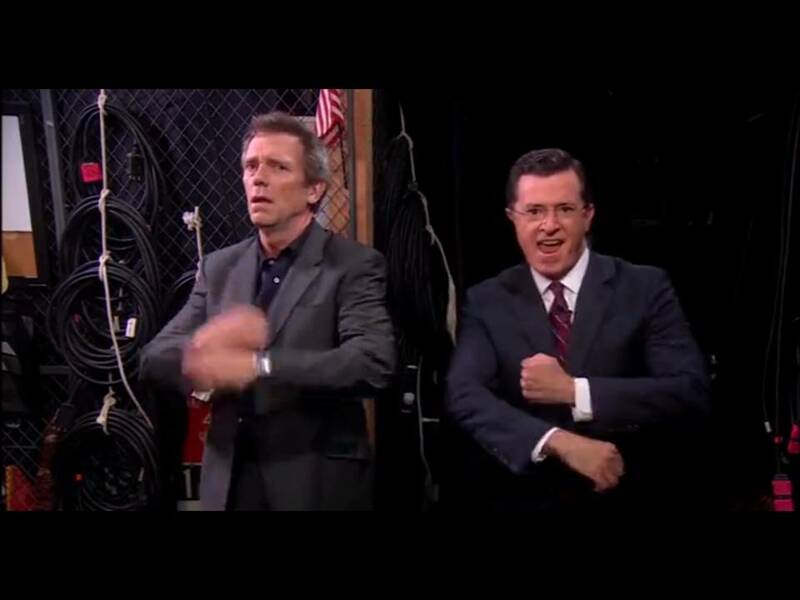 About a month ago, I remember grooving along to a clip from The Colbert Report, where Stephen Colbert dances along to the Daft Punk song Get Lucky, alongside a whole bunch of famous people. As he dances, he invades other TV shows. It was pretty fresh and a lot of fun. Here’s Colbert’s Get Lucky. Not so great was when Channel 7 launched their new promo for Dancing With The Stars. Stop me if this sounds familiar: the “celebrities” from Dancing With The Stars are dancing along to Daft Punk’s Get Lucky. And in the process they invade other TV shows. Have a look. Seriously Channel 7? This is just lazy. If I was being charitable, I’d say they were playing to a meme. Realistically, I just think they’re ripping off something original to try and make their tired format reality show look fresh. Sermon preached at St Luke’s Liverpool on Sunday the 8th of September 2013. Maybe you’ve heard of this Steve Jobs guy. One of the founders of Apple Computers. There’s a good chance that you might be reading this review on a device that Steve Jobs had a hand in developing – just like I’m writing this on my Apple produced iPad. Some consider him one of the most influential people of our modern age. Whenever this man got up to speak, whenever he was ready to launch a new product, people listened. Crowds would gather to hear him talk about the new iPhone or iPod. He’d have the audience hanging on his every word and leave them with them giving him a standing ovation. When he passed away in 2011, he left many people wondering what would happen to Apple without its charismatic front man. The Internet was flooded with words of tribute for this man, of how much he meant to people. But another question was lurking under the surface – what was Steve Jobs really like? Jobs is the first of the Steve Jobs bio-pics to hit the cinema screen (there’s another one on its way written by Aaron Sorkin, the writer of West Wing and The Social Network). 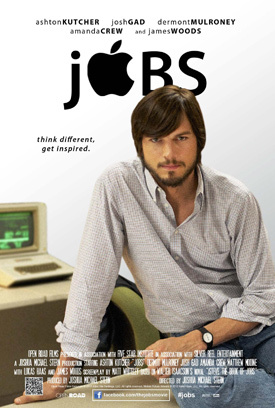 With Ashton Kutcher donning the iconic jeans and black shirt, this film attempts to show us the man behind the Apple logo. However, it feels like the creators of this movie don’t know the answer either – they can’t make up their minds if he’s a visionary creator or a jerk. And it’s this ambiguity that is the downfall of this film.